Who Wants to Help People? Everyone, It Seems. During 2010, nearly 10 million searches were performed on the the Bureau of Labor Statistics job search engine. The website hosts a lot of traffic, and it just announced what visitors to it are likely to investigate. Of those 10 million searches, most of them were to research occupations. Strikingly, most searches seem to focus on jobs devoted to helping people on a very concrete level, in jobs that demand intensely close contact with others. The job that attracted the most people’s attention was the teaching profession. 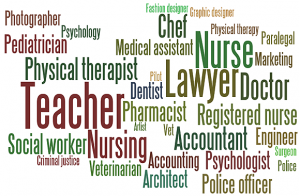 The following jobs also incited great curiosity in visitors to the website: lawyer, nurse, doctor, chef, accountant, and physical therapist. The health care industry, in general, received plenty of attention from readers. Visitors to the BLS website were also likely to research statistics about unemployment if they were not researching occupational professions. Recruiters may be curious to compare how their field reflects or does not reflect this trend. The primary interest appears to be in service oriented, interactive positions. It has been often cited that the younger generation has a “social” requirement for work, team-orientation tends to be strong and many people cite “helping people” as an important aspect of a profession. If you are designing your corporate recruiting program, it might be a good idea to emphasize these aspects of your work environment, and make sure that you are supporting and fostering teamwork where you can.